Renault has slashed prices of Duster SUV, probable to clear 2014 manufactured models. The price slash holds for the AWD Duster also which was launched barely 2 months back. Renault Duster RXL which was sold at Rs. 9.69 lakh is now available at Rs. 9.29 lakh, a cool Rs. 50,000 discount. You get Rs. 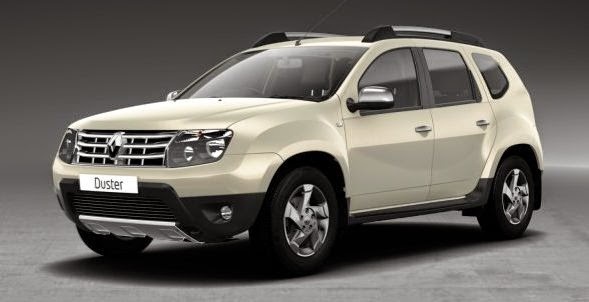 60,000 discount on Duster RxL AWD variant which is now sold at Rs. 11.29 compared to earlier price tag of Rs. 11.89 lakh (Prices Ex-showroom, New Delhi). The initial response received by Duster seems to have gone because of launch of Nissan Terrano. Terrano with its better looks has eaten up Duster sales and Renault is striving hard to maintain sales figures of Duster. Renault says the price slash is for limited period, but we believe it will be effective till this year end.